Laws in each state authorize the formation of corporations. Once formed, a corporation is a legal entity with the ability to sue and be sued in its own name apart from the shareholders. Formation of a corporation is accomplished by selecting a name and filing a certification of incorporation with the state. Forms to help you do this are available through an online legal document provider. The shareholders are the owners whose investment of money in the corporation entitles them to receive dividends when the business earns a profit. Shareholders do not manage or take part in the operation of the business. That role is left to the board of directors and the officers.The board of directors sets corporate policy and direction, but it does not handle the day-to-day operations of the business. Daily operations of the corporation are handled by the officers who are appointed by the board of directors. Common titles held by officers are president, vice president, treasurer and secretary. The directors of a corporation are elected by the shareholders. It is not unusual, and not prohibited by state laws, for a small corporation to have one or more shareholders who are also officers and directors. Directors of a corporation act in a fiduciary capacity in that they must act in the best interests of the shareholders and the corporation above all others, including themselves. Some state corporation laws allow a corporation to operate without a board of directors. For that to occur, all the shareholders must agree, in writing, to assume the duties of the board of directors in managing the affairs of the corporation. 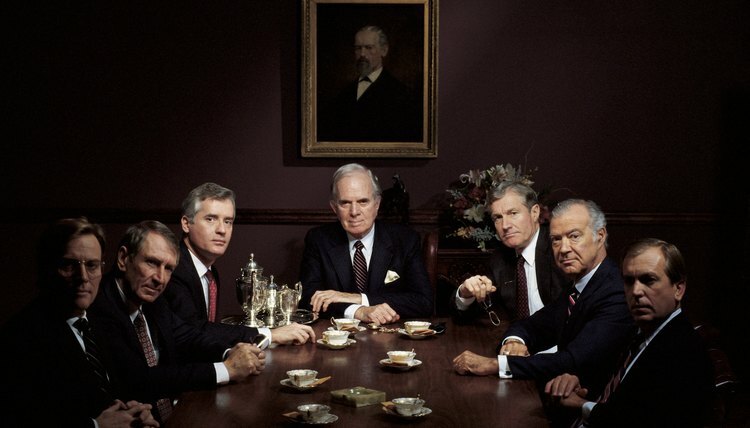 Eliminating the board of directors works best if there is only a small number of shareholders. Having too many shareholders makes it difficult for the owners to manage the business. A nonprofit's success is often tied to the zeal of its primary representative: the executive director. The ED is typically the face of the organization and manages its day-to-day affairs. When the executive director is also the organization's founder, it can seem that the ED has unlimited power over the organization. However, the executive director is just an employee of the nonprofit who holds the position subject to the approval of the board of directors. Compared to other business entities, corporations offer many advantages, such as liability protection and ease of transferring ownership shares. Though corporations are very common, a corporation may not be the best structure for every situation, and it does have some disadvantages. What Is the Difference Between an Unincorporated Association & a Corporation? Can an Owner Be Voted Out of an S Corporation?